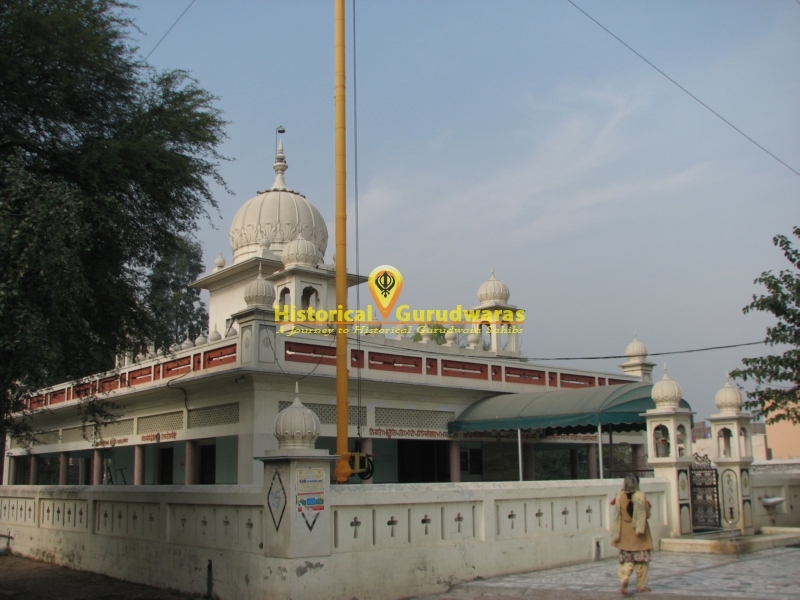 GURUDWARA SHRI TEESRI, SATVIN & ATHVIN PATSHAHI SAHIB is situated in the Kurukshetra City.SHRI GURU AMARDASS JI: In 1523 SHRI GURU AMARDASS JI came to this sacred place with his family on solar eclipse. At Babar Times, there was tax on pilgrimage for hindu pilgrimage. So GURU SAHIB stayed outside the city and denied giving tax to them. 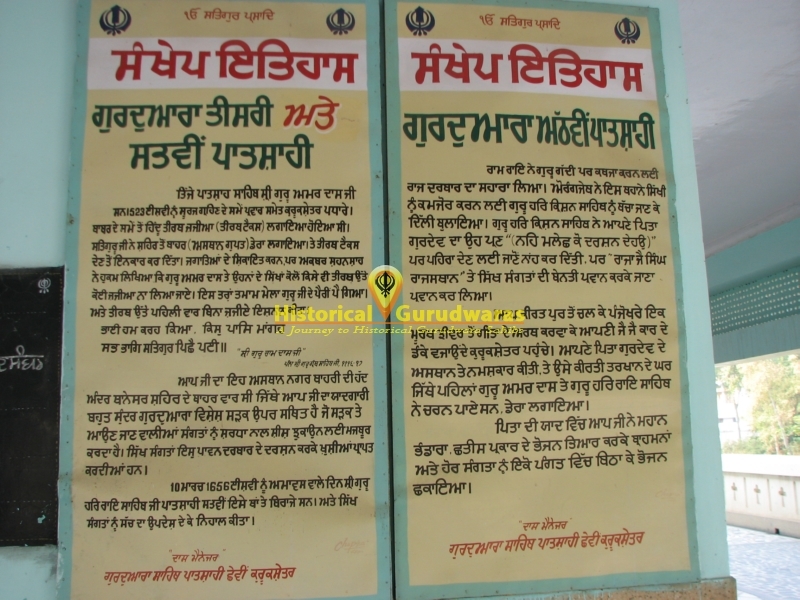 When this news reached to Akbar, he ordered not to take tax from SHRI GURU AMAR DAS JI and his sikhs. The whole congregation bowed to GURU SAHIB and they first time took holy bath without paying any tax. 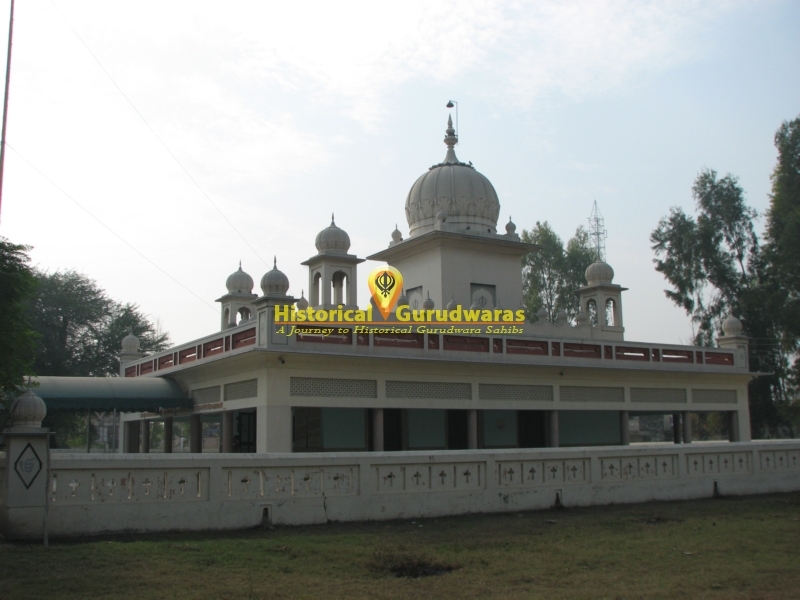 "Bhai Ham Karah Kiaa, Kis pas mangah sabh bhag satguru pichey payi || (Shri Guru Ramm Dass)"SHRI GURU HAR RAI JI: On 10th March 1656, on Amavas night, GURU HAR RAI JI came to this place and preached the sikh sangat. SHRI GURU HAR KRISHAN JI: (Ram Rai took the aid of raj darbar to take illegal possession over GUR GADDI.) SHRI GURU HARKRISHAN JI was called to Delhi by Aurangzeb to weaken the sikhi spirit. 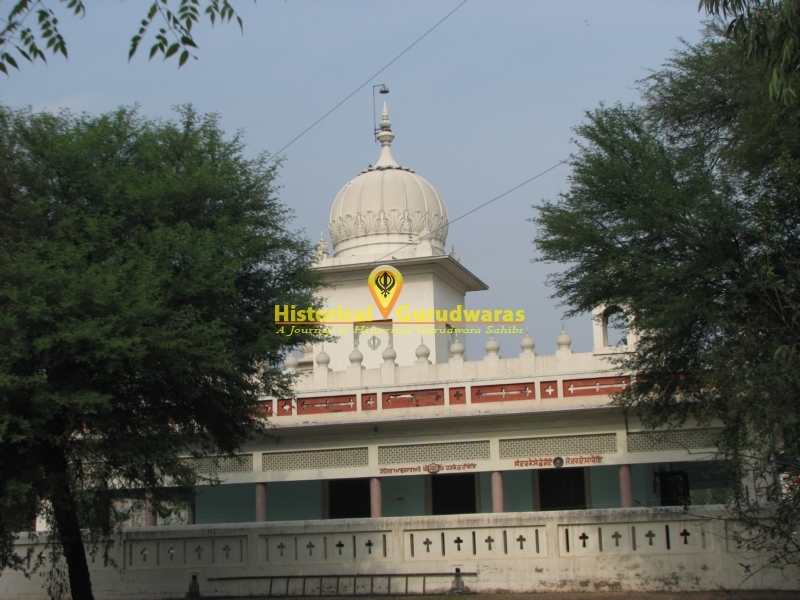 But SHRI GURU HARKRISHAN JI denied his invitation caring the quote of SHRI GURU HARRAI JI (Na Malech ko darshan deo), but after request from Raja Jai Singh Rajasthan and sangat he went there. 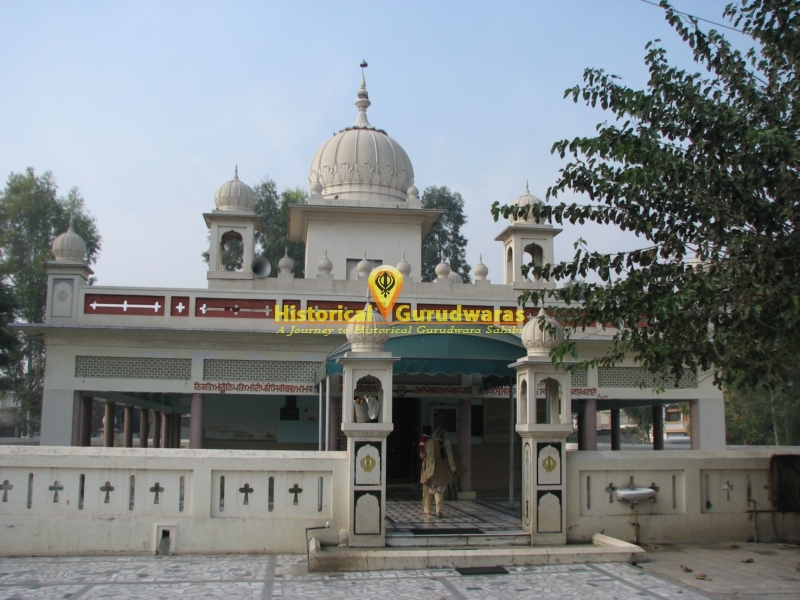 From Kiratpur Sahib via Panjokhrha he reached to kurukshetra, and pay obsession on his father's place and stayed in the house of Tarkhan) where SHRI GURU AMAR DAS JI and SHRI GURU HARRAI JI stayed. In the remembrance of his father SHRI GURU HARKRISHAN JI organized a Langar, where different varieties were prepared and all the sangat took meal in pangat.